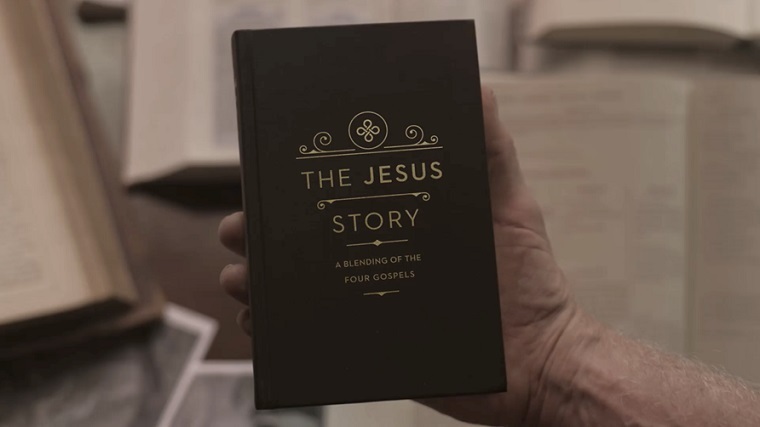 The good news is there are only 35 copies of The Jesus Story left to sell. You may wonder why that’s good news? It’s good news because almost 5,000 people have a copy. Plus, through the generosity of friends, who want to see it reprinted, I’ve got the funds to print 2,000 copies. And then the surprise. Last week I placed the order. The next day the printer informed me there’s a problem. Namely, the high-end paper used in The Jesus Story only comes in rolls for 5,000 books. Because of that he refused to print 2,000 copies. However, he did agree to print 3,000. And so, confident the Lord would supply the funds, I ordered 3,000 books. The printer accepted the order and promised a late January delivery. Pray he meets the deadline. Seriously, raise your hand if you agree to pray the printer meets the deadline. A lot of moving parts go into printing a book with as many features as The Jesus Story. One derailed car pulls over the train. You can put you hand down now. Thanks for praying. I wonder if anyone raised a hand. Did you? If not, you may now, if you want. I’ll wait. I find it amazing that a book can be edited that many times by that many people and yet none of us caught that date. Something else sets it apart. While it is the second printing, it will not carry that label. This because in order to meet the delivery date a church requested, the printer didn’t have time to insert two words onto the title page: Second Printing. We had a fast-approaching deadline. And so this will forever be the printing of The Jesus Story without a printing label. This is more than a book printing to me. I’ve now read through the Gospels 70 consecutive months and it’s deepened my love for the Lord. And I want others to love him. I don’t believe anything helps us know and love Jesus more than reading this beautiful telling of his story. As Christmas approaches consider joining me in getting this beautiful volume printed. And in the process get a copy for yourself, a friend or loved one. For every gift of $50, or more, I’ll provide a copy of The Jesus Story, after it’s printed, and a hardback copy of 6 Rules Every Man Must Break. P.S. Be sure and give permission for your mailing address to be shared with me or I won’t know where to ship your books. If you want to place a larger order, contact me via email.